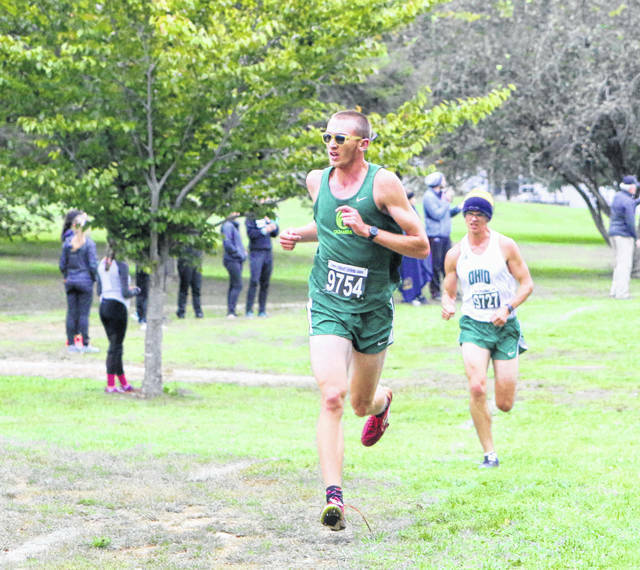 Evan Whitaker posted the fastest time ever in a cross country race for a Wilmington College freshman. The reason everyone gathered for the JennaStrong Fall Classic, the smiling face of Jenna Parlette, who passed away in 2013. Clinton-Massie graduate Katie Hughes (9311) at the JennaStrong Fall Classic. Blanchester graduate Savannah Rhodes (9315) at the JennaStrong Fall Classic. 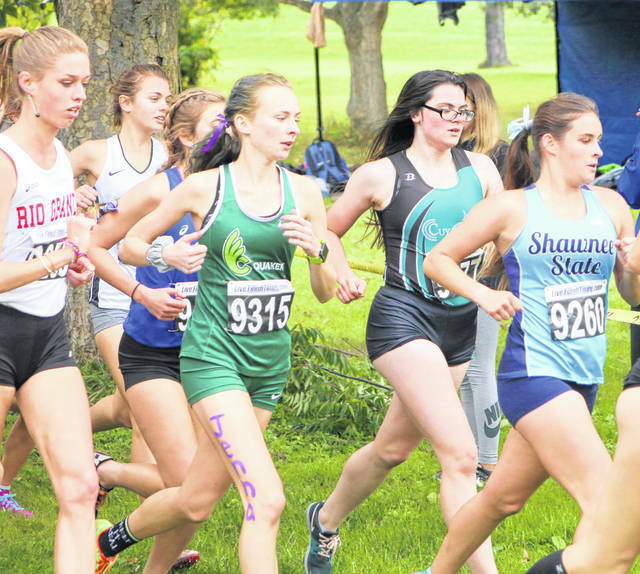 WILMINGTON – Evan Whitaker led the charge for the Wilmington College cross country program at Friday’s sixth annual JennaStrong Fall Classic cross country invitational on the WC campus. Whitaker, the OAC men’s cross country runner of the week last week, finished 20th among 369 competitors in 25:44.4. The time is the fastest ever by a WC freshman. Miami of Ohio was the men’s team winner while Ball State won the women’s race. Unattached runner Makorobondo Salukombo won the men’s race in 24:24.3. Anna Brandt of Cleveland State ran 17:55.6 and won the women’s race. 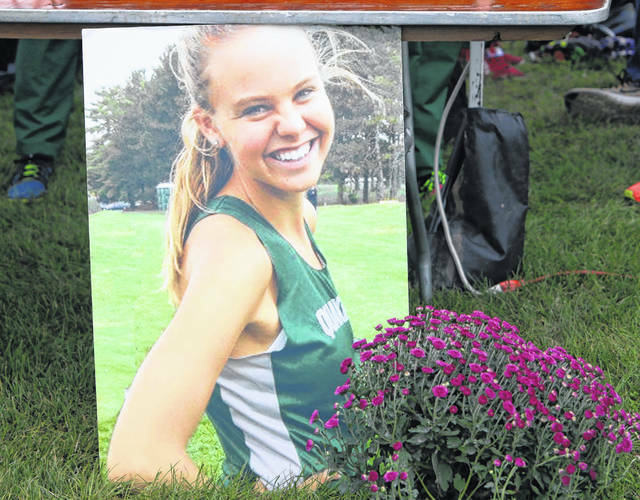 The event is named after Jenna Parlette, a Wilmington College runner who collapsed while leading a race at Franklin College in 2013 and passed away several days later. Jacob Whitaker and Katie Hughes, both Clinton-Massie graduates, competed for Wilmington. Whitaker was 107th in the men’s race while Hughes was 118th in the women’s race. 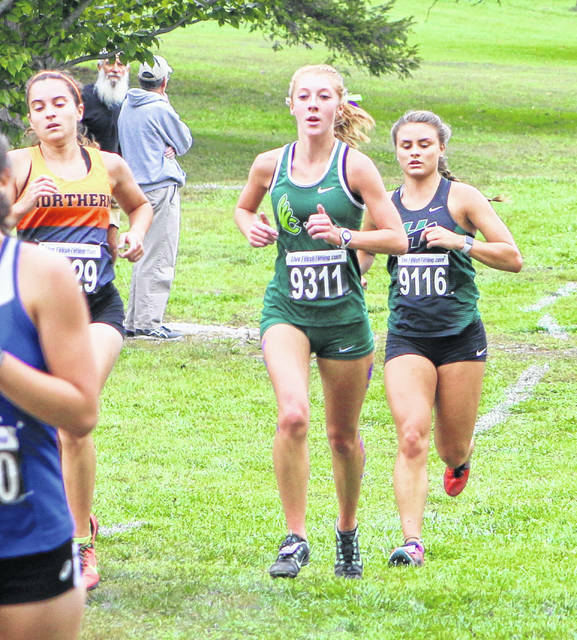 Wilmington will have a week off before competing in the Ohio Athletic Conference (OAC) Championships Oct. 27.